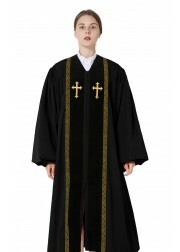 IvyRobes have several different styles of pulpit robes(minister robes,pastor robes,priest robes), which are designed by our own tailors. 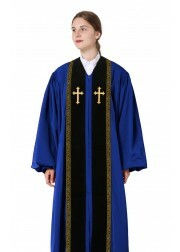 We offer John Wesley style, Doctoral Clergy Robes, and Fluted Clergy Robes. 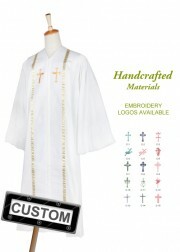 Our clergy apparel come in different price ranges for professionals who demand quality as they command prestige. 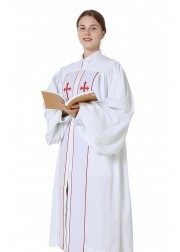 When you order clergy pulpit robes from IvyRobes, you are able to order according to your height and weight, details as provided in our size chart. 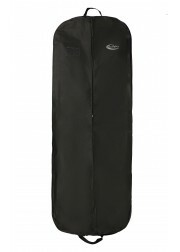 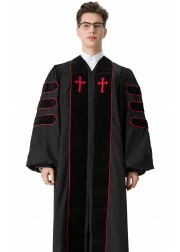 For our material, we use 130g polyester fabric, perfect for pulpit robes. 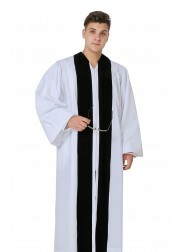 Our requirements dictate that each pulpit robe is tailored, giving you unparalleled quality, comfort, and fit. 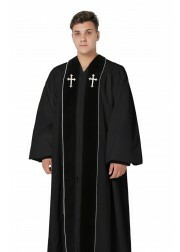 Our pulpit robes are available for those professionals who want to reflect their achievement and their position with class and esteem. 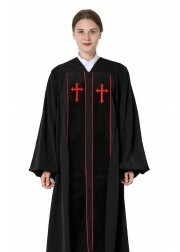 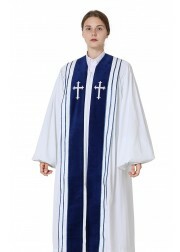 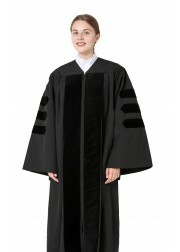 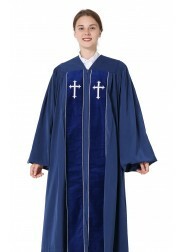 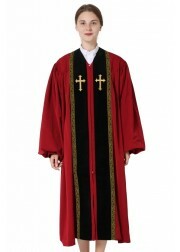 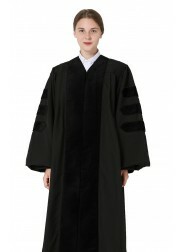 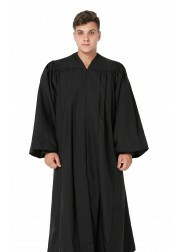 IvyRobes' stock pulpit robes are shipped from the factory the next business day after we receive your order. 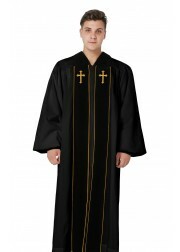 Choir apparel is also in stock for you to choose from. 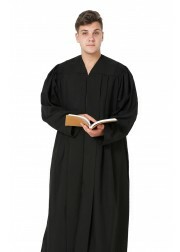 There's no extra charge for this quick service! 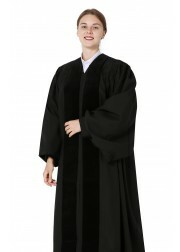 In addition, all items are backed by IvyRobes' satisfaction guarantee.